If you purchase audiobooks from Audible, you'd be familiar with aax format. Audible offers the world's largest selection of audiobooks and original ad-free audio shows. Audiobooks from Audible.com are formed in AA/AAX file format with DRM protection. When you want to listen to AA/AAX audiobooks on any MP3 players you have, there is a necessity of removing DRM protection and converting AA/AAX audiobooks to MP3. Once Audible AA/AAX Audiobooks have been converted to MP3, you can enjoy your Audiobooks on any music player freely. Here we will introduce you 2 Audible converter that allows you to easily convert Audible AA/AAX audiobooks to MP3. 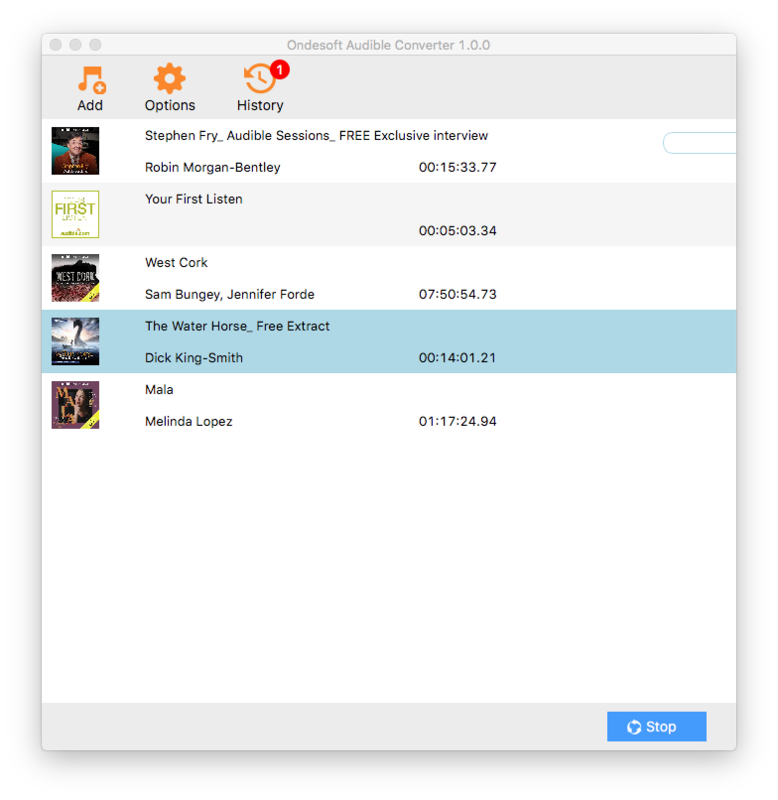 Ondesoft Audiobook Converter for Mac is designed to convert Audible AA/AAX Audiobooks to MP3, M4A, AC3, AAC, AIFF, AU, FLAC, M4R, MKA with high output Quality. Also ID tags and metadata information will be saved to the output MP3 and M4A files. Chapter information will never be lost in the converted M4A files . Therefore, the software will be a useful Audible Audiobook to MP3 Converter for you to enjoy your favorite Audible Audiobooks on different music players. It is extremely fast to convert Audible audiobook to M4A, e.g. to convert a 60-hour flipbook, it only needs less than 1 minite. 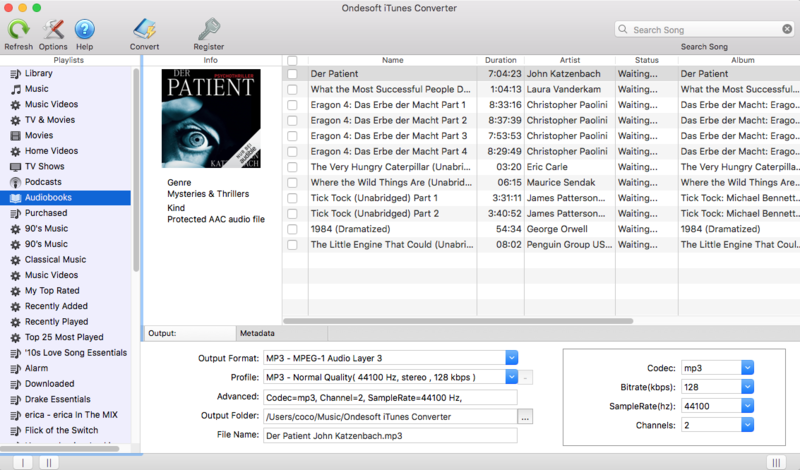 Ondesoft iTunes converter is the advanced version of Ondesoft Audiobook converter. Besides audiobooks, it also allow you to convert iTunes music and Apple Music songs. The following tutorial will show you how to convert Audible AA/AAX to MP3 . 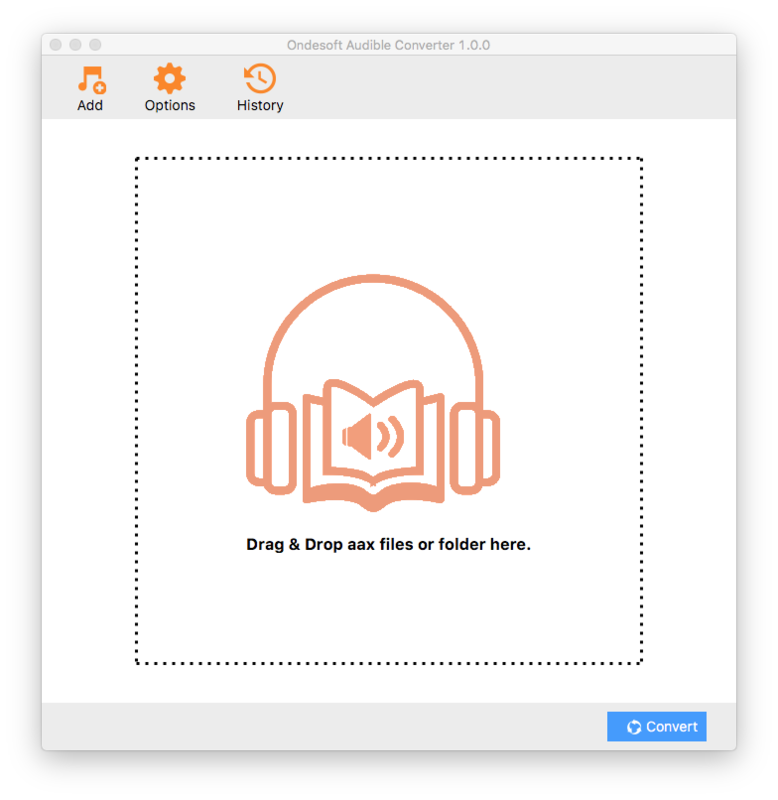 Free download Ondesoft Audiobook Converter and follow instructions to install it on your Mac/Windows. Notice: Unregistered users can only convert each audiobook for 3 minutes. However, you can break the limitation by purchasing a full version. If you also want to convert iTunes M4P songs/Audiobooks or Apple Music songs, please download iTunes Converter for Mac or iTunes Converter for Windows . After installation, launch AudioBook Converter and iTunes will be launched automatically to get ready for you to convert Audible AA/AAX audiobooks. 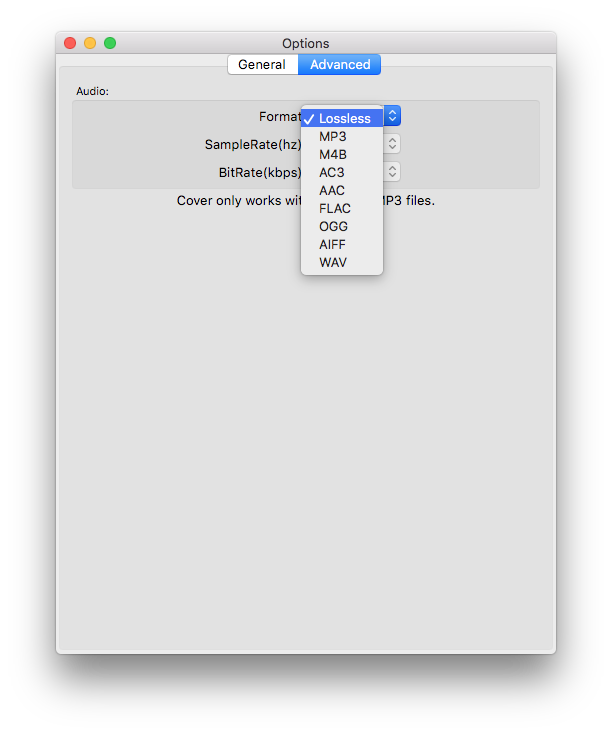 It automatically loads all your audiobooks from iTunes library. So make sure the audible audiobooks you want to convert have been added to iTunes library. Launch AudioBook Converter for Mac and you will see all audiobooks in your iTunes Audiobooks library will be shown on the right of main interface, so no need to add audiobooks manually. Now, choose audiobooks you are eager to convert by clicking the option box in front of each audiobook. 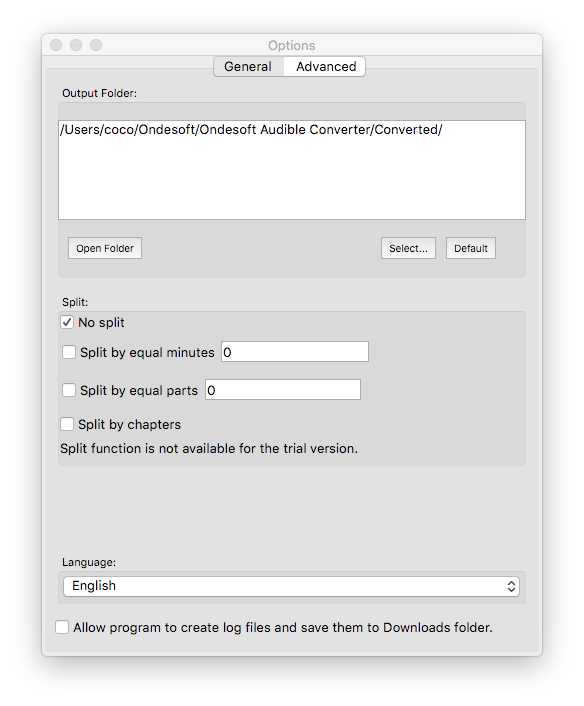 This Audible AA/AAX AudioBook Converter supports batch conversion, so you can select more than one audiobook or all. Click the icon ”Convert” at the top of the main interface to start converting audiobooks to MP3. Ondesoft AudioBook Converter is capable of the remaining work and you can let it alone and do what you like. When the converting process is completed, we can go to default folder (if you haven’t modified) or your chosen folder to find the converted audiobooks. Modify output settings at the bottom of the interface or click ”Options” button, you will find all the output parameter here, such as converting speed, output filenames, format and so on. 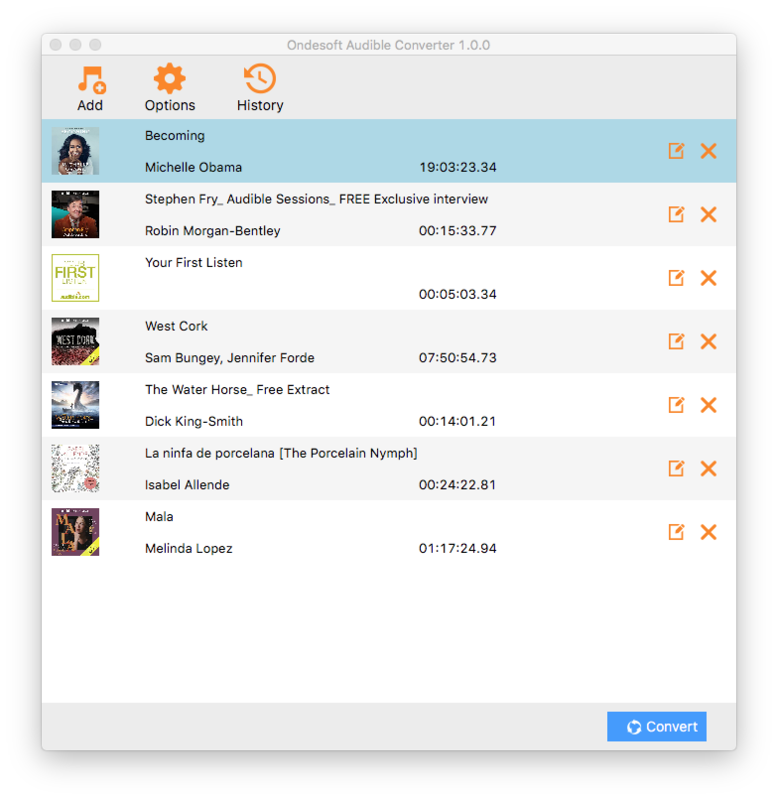 Ondesoft AudioBook Converter enables you to customize output profiles and save them. Also, you can easily customize the settings as you wish in the main interface because output parameters such as codec, bitrate, sample rate and channels are below the booklist in the main interface. How to convert iTunes Audiobooks to MP3?